I can't resist making some predictions for the Edgar Awards, presented each spring by the Mystery Writers of America, even though my forecasting abilities are nil. I've been wrong in my Super Bowl betting for years and that's when I've had a 50-50 shot at picking right. D'oh! For the Edgars, I might as well roll the dice or pick a name out of a hat. In fact, I'll do that too. I invite you to make predictions any way you choose and to share them with us in the comments section beneath this post. As we all know, opinions about books and ranking them are subjective enterprises and the Edgars judging panels are as human as we are. (As far as I can tell, Edgar-nominee Matt Haig has planted no extraterrestrials on the Edgar panel.) We'll find out how well we agreed with the judges this Thursday, May 1, when the winners are announced at the MWA banquet. When Sandrine's Case opens, Sam Madison, an unlikable Coburn College professor, is on trial for murdering his enigmatic wife, Sandrine. Between chapters of trial proceedings, Sam, who narrates, mulls over their relationship. The Humans, by Matt Haig, details a visit to Earth by an extraterrestrial from Vonnadoria after Cambridge mathematician Andrew Martin scared that planet's extra-intelligent inhabitants by solving the Riemann hypothesis. The Vonnadorian's undercover mission is to take Martin's place and get rid of any evidence the hypothesis was solved. In Kent Krueger's standalone, Ordinary Grace, its middle-aged narrator, Frank Drum, looks back at 1961 in New Bremen, Minnesota, when he was the 13-year-old son of a Methodist minister. That summer, a series of deaths rocked the community and his family and ushered Frank into the world of adults. How the Light Gets In, featuring Armand Gamache, Chief Inspector of the Sûreté du Québec, is the ninth in Louise Penny's popular series. It finds Gamache investigating a Three Pines disappearance against the backdrop of Sûreté infighting and corruption. Sister Mary Murderous reviewed it here. It's 1958 in Lori Roy's gothic-tinged suspense Until She Comes Home and Alder Avenue, a working-class Detroit neighborhood, is undergoing steady decline. Residents are frightened when a black prostitute is murdered near the local factory but the police ignore the death. It's the later disappearance of Elizabeth, a mentally disabled white girl, that galvanizes Alder Avenue. I'll try to give you my thinking without divulging book spoilers. There were moments in reading Haig's The Humans when I laughed aloud at the Vonnadorian's confusion over customs we take for granted. At other times, my heart swelled with his joyful discoveries. Despite the book's lapse near the end into something akin to Hallmark card philosophizing I enjoyed its amusing and sentimental look at what makes us human. I think the Edgars are much like the Oscars, though. It's rare for a humorous nominee to win the big enchilada and I don't see an exception for The Humans looming on the horizon. When Rankin retired Rebus in 2007's Exit Music, I was afraid we'd lost him forever. I read Standing in Another Man's Grave with a sense of relief and excitement. Rankin puts ol' Rebus under the searchlight here and we see anew how this man is a poor fit for the modern metropolitan police force. The force has changed since his retirement, but Rebus hasn't. He can't stick to assigned duties or stop smoking and drinking and he has no interest in learning how to use high tech investigation tools. He'll always have the fattest file in the Complaints department. Thank God. I don't think I could take a reformed Rebus. Rankin's plotting purred along as usual without any signs of rust. This is a good book and deserves its nomination. Because it's not Rankin's best, I don't pick it for the Edgar. Lori Roy is interested in the pain that accompanies social change. I liked her Bent Road, which won the 2012 Best First Novel by an American, and I liked Until She Comes Home, too. Roy does a great job of capturing 1950s Detroit, the lives of housewives and their working husbands, the shuttering factories, open and hidden racism and fear of what the future will bring. She looks at what motivates a person to commit a crime and how that crime drops like a rock into a neighborhood pond, sending mud and trash to the surface and creating ever-growing ripples of irrevocable change. Her writing is lyrical and she made me think. Yet, I don't think this is her year. 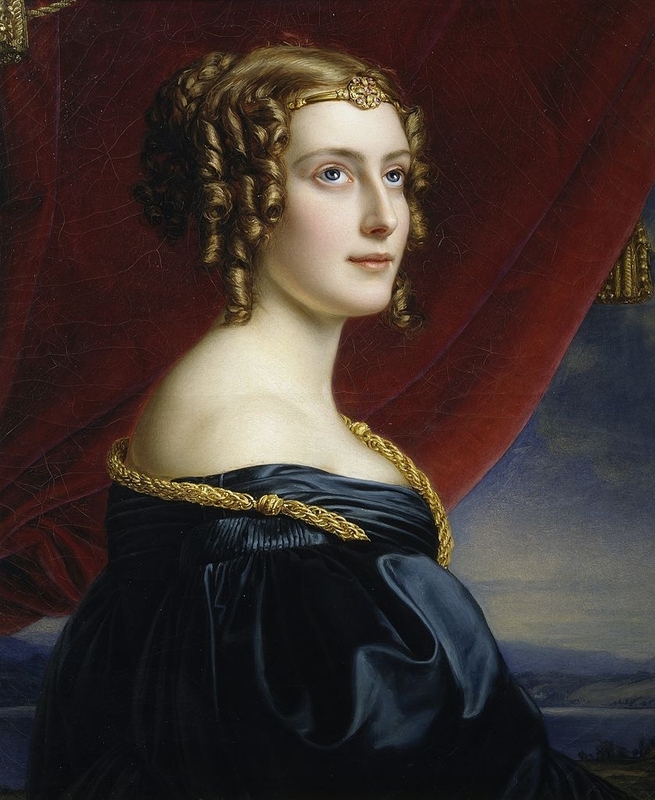 Thomas H. Cook dazzled me with Sandrine's Case. It's an intricate and unpredictable courtroom thriller with Sam facing the death penalty and I found myself going back and forth about whether he actually murdered Sandrine. His arrogant self-centeredness made me recall that awful Teddy Bickleigh from Francis Iles's Malice Aforethought, and we know how guilty he was. In addition to the legal jousting, Sandrine's Case is a gripping examination of a marriage, à la A.S.A. Harrison's The Silent Wife. I didn't care whether this exact marriage exists in the real world. What Cook captures very well is the growing awareness and animosity between a long-married couple when they can't figure each other out, they can't get through to each other and they no longer remember what motivated them to marry in the first place. During the trial, Sam slowly strips off his skin for us and we can see his heart and brain. He begins to understand his much more talented and attractive wife, Sandrine. It's amazing how a dead woman comes to vivid life. We ultimately cotton on to each of them, their marriage and Sandrine's death. I won't start a Louise Penny book unless I'm in a comfy chair with some milk and cookies handy because it's all part of the guaranteed-to-be-good Three Pines experience. There's such a sense of coming home while reading this series, with each book building seamlessly from the last, with a continuing cast of characters and themes of corruption and threats of reorganization interweaving with threads of the current investigation. How the Light Gets In is one of Sister Mary's favorites in the Three Pines series and it's one of mine too, a joy to read. William Kent Krueger is best known for his excellent Cork O'Connor series and he stretched for the powerful look at faith and redemption in Ordinary Grace, a nonseries book. It's obvious he knows the '60s, his Minnesota setting and the sort of people who lived there very well. His plot is deliberately paced and straightforward, even though it rolls out through the memories of a man looking back at his youth; interesting in this Edgars competition because another nominee, Thomas H. Cook, has used this device to good effect in some of his books, such as The Chatham School Affair and Breakheart Hill. Krueger's plot didn't surprise me but there are paragraphs of such strength and beauty that I had to stop so I could read them again. I won't be surprised by the Edgar going to Cook for his clever and surprising courtroom drama, although if I were an Edgar judge I'd vote for Penny. She has written one excellent book after another leading to the fix her protagonist finds himself in in How the Light Gets In, but I think it will go to Krueger. Ordinary Grace seems like a Best Novel Edgar winner, the literary equivalent of Oscar-winning movies such as Ordinary People and Chariots of Fire. 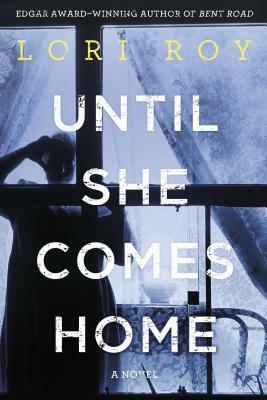 Title drawn out of a hat: Lori Roy's Until She Comes Home. I'll laugh if this title wins the Edgar because I'll be able to claim I picked it to win. I'll be back later this week to pick the Edgar winner for Best First Novel by an American. Note: The nominees for Edgar Awards were all published in 2013. Other categories for the 2014 Awards are Best Paperback Original; Mary Higgins Clark Award, for the book most closely written in the Mary Higgins Clark Tradition according to guidelines set forth by Mary Higgins Clark; Best Fact Crime; Best Critical/Biographical; Best Short Story; Best Juvenile; Best Young Adult; and Best TV Episode. Special Edgars this year include the Robert L. Fish Memorial Award, for the best first mystery or suspense short story; the Grand Master Award; and the Raven, for non-writers who contribute to the mystery genre. For a complete list of 2014 nominees and the data base of previous years' nominees and winners, see the Edgars website here. It's won't be The Humans, because that's too close to the sci-fi genre. It won't be Rankin because it's not his best and he's not American. It won't be Roy, just because it's not her year yet. Normally, I'd say it won't be Louise Penny, just because every one of her books has garnered multiple nominations, and she's won quite a few awards too. She's like the Meryl Streep of mystery writers, and Meryl can't win every time. But then I looked at stopyourekillingme.com and unless it's made some mistake, this is the first time she's even been nominated for an Edgar. That seems bizarre to me. I'm worried it's an indication that the Edgar panel has previously thought she's too something (Canadian? Cozy-ish?) for a nomination. But now that she's a multiple-time NYT best seller, they can't ignore her. I think she could win, but I just don't have a good feeling about it. So I think it's down to Cook and Krueger and my bet is going on Cook, just because I think it's such an imaginative book; well out of the mainstream. Whoo boy, this is a hard competition to handicap. I don't know why Penny didn't receive an earlier Edgar nomination, although maybe it's because her books are cozy-ish and she's Canadian, as you suggest, Sister Mary. I wish publishers spotlighted their Canadian mystery writers more here, because some of the best crime-fiction writing in the world is being done by the Canadians. (If you want to look at Penny's stopyourekillingme.com page, as Sister Mary did, here's the URL: http://stopyourekillingme.com/P_Authors/Penny_Louise.html). It took Dennis Lehane 18 years before he finally received an Edgar nomination, and then he won Best Novel for LIVE BY NIGHT. If you check the Edgars database for nominees in this category every year from 1946 to 2014, you'll find some head-scratching nominees and omissions. This is one reason why literary nominations and awards need to be taken with a grain of salt. They're an honor and fun to talk about, but "best novel" is subjective, and when decided by a panel of judges, sometimes it's a hotly debated compromise. It would make interesting research to analyze the winners in terms of subgenre, nationality, etc. I liked the fact that a sci fi/crime-fiction book was nominated this year, because I think genre benders should be encouraged. That said, I don't think Haig's THE HUMANS will win. I agree that it probably isn't Lori Roy's year, although she's a talented writer, and I'll bet she has more nominations in her future. I also don't see Rankin's book winning. He received a Best Novel Edgar for RESURRECTION MEN, and STANDING IN ANOTHER MAN'S GRAVE isn't quite as good. Cook, Penny, Krueger. The most original/imaginative book isn't always picked, and Cook has won the Best Novel Edgar before. I think there's a bias about giving multiple Edgars to the same author (but how did John Hart win two so quickly?). SANDRINE'S CASE is difficult for some readers because of its off-putting characters. What an unlikable dude that Sam Madison is; however, Cook really pulls a rabbit out of a hat with this book. It's very skillfully written. Unfortunately, I can't comment on Krueger's book since I haven't read it [insert teeth gnashing sound here]. Nuts. Kev, it's great to see you! I picked Haig in a different way. I liked the way his book sounded, so I picked it up at the library today and gave it to my sci-fi loving husband to check out. Georgette, you're right about how hard it can be to figure out how these panels pick their nominees and thrillers. Some 2013 books I'd have nominated include Martin Cruz Smith's Tatiana, Leonard J. Rosen's The Tenth Witness, John Lawton's Then We Take Berlin, Robert Galbraith's (JK Rowling) The Cuckoo's Calling, Suzanne Rindell's The Other Typist, Fred Vargas's The Ghost Riders of Ordebec, Charlie Lovett's The Bookman's Tale, Chris Bohjalian's The Light in the Ruins, Mick Herron's Dead Lions, Max Barry's Lexicon, Philip Kerr's A Man Without Breath. Kev, so nice of you to get Rankin's book covered on the betting board. And I'm glad you chose Penny to win, Georgette. Sister, I like your idea of outsourcing your reading. I'll have to re-route some of my TBR pile to my husband. His pile looks paltry next to mine. You've listed some fantastic books. Mick Herron's Dead Lions won the Crime Writers Association Gold Dagger for best crime novel of the year and Fred Vargas's The Ghost Riders of Ordebec was a co-winner of the CWA International Dagger. I haven't read Dead Lions but I loved Vargas's book. Neither of these books were nominated for an Edgar. I've been looking at the CWA website today in preparation for writing my next Edgars forecast. The books entered for Daggers consideration are now going to be made public on the website. I like this increased transparency of CWA Daggers process: entries list, longlist, shortlist, winner. Now if only we could be flies on the wall at the judges' discussions. Sara, I like this as both a prediction and a reason for giving the Edgar to Rankin.